We’re glad you’re here, but walking through a Berkeley home is the best way to see the difference exceptional design and craftsmanship can make in your home. We look forward to meeting you soon. From C-470 East or West. Take the Broadway exit. 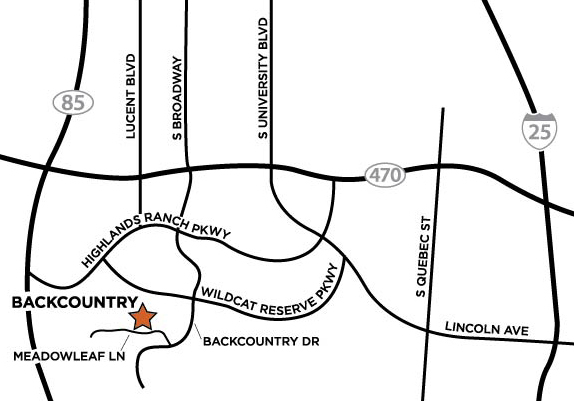 Go South on Broadway to Wildcat Reserve Parkway. Continue south past Wildcat Reserve Parkway on to BackCountry Drive. The Discovery Center is on your left.